Many towns do what they can to lure the tourist dollars. 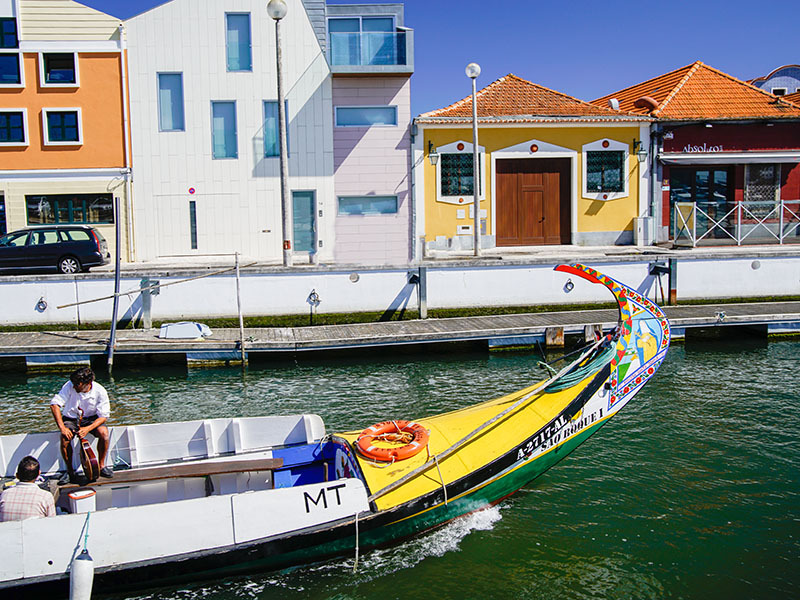 For Aveiro, Portugal the draw is brightly colored boats that will take tourists for rides up and down their many canals and past colorful homes. My goal was to take photos of the commercial fishermen fleet of vessels in a harbor with their brightly colored boats. 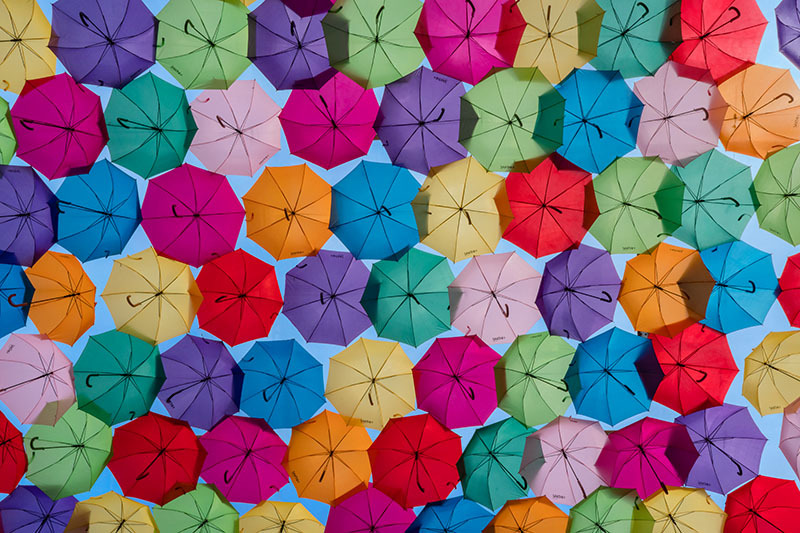 The umbrella festival of Agueda, Portugal was a destination for me ever since I saw a photo of these umbrella lined streets three years ago on the Internet. Marketed as a music and concert destination for younger kids, the town gets crowded with tourists during the month of July. Anyone who has visited Lisbon, or as the Portuguese say, Lisboa would likely recognize this photo as typical Portuguese. 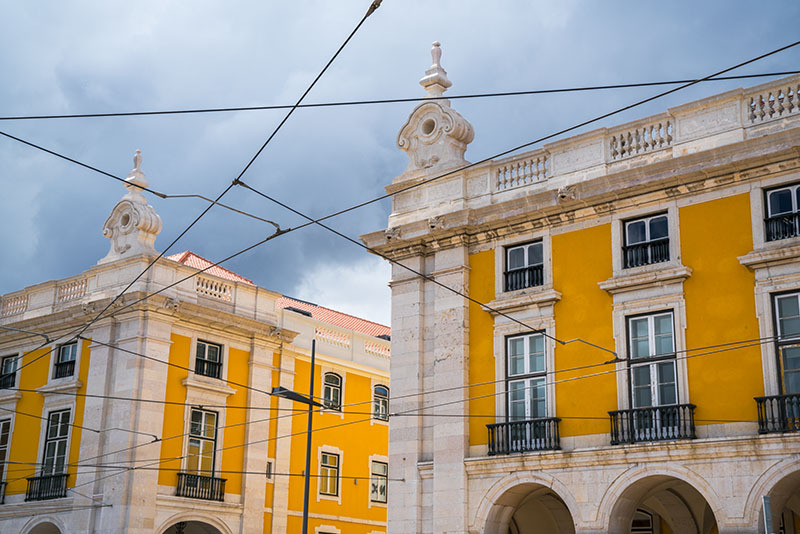 Trolley-car wires, stately bright yellow buildings with elaborate architectural designs and narrow balconies. Yellow is often the color of choice for the Portuguese. The Portuguese Island of Funchal is 600 miles from the mainland but is a great introduction to European life when cruising to Europe. Each time we have visited here we enjoyed it so much we contemplated renting an apartment for a while. Funchal on the island of Madeira, Portugal was our first stop after seven days at sea. 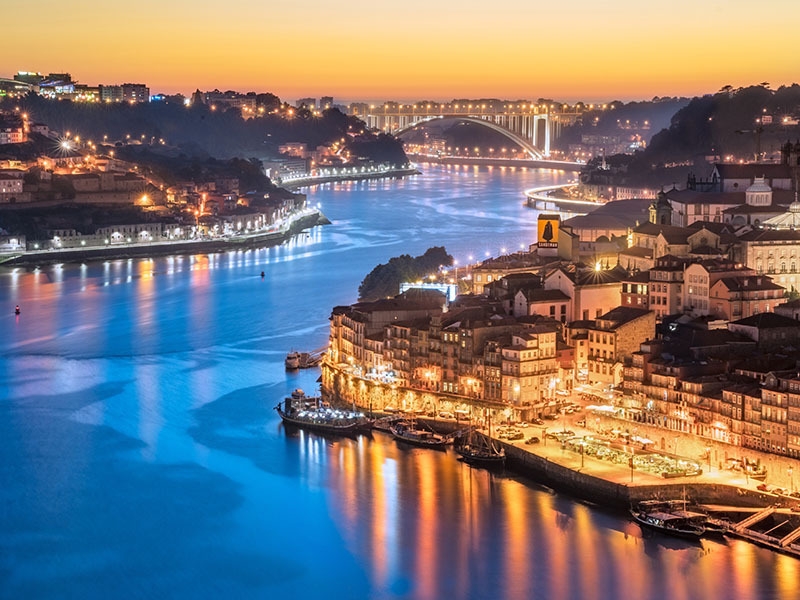 It is our favorite port so far. The sidewalks are not cement, rather designs made with black and white rocks, just as they were in the Portuguese city of Macau, China. Many flowers were in full bloom including tall purple trees. A lot of their culture showed through with their colorful doorways and brightly painted buildings.